Beyond assembly, the ultimate test of a threaded connection is field performance. By incorporating both Functional and Pitch Diameter Size measurements into its basic design, Johnson Gage Thread Inspection Systems not only assure assembly and dimensional conformance, but also add a measure of confidence and integrity to both the inspection process and your product. Customer satisfaction begins with the assurance that products conform to the underlying standards and specifications. Johnson Gage Thread Inspection Systems are designed to assure conformance with ASME B1, ISO, FED-STD-H28/ System 21, 22, or 23, AS8879, MIL-S-8879, MIL-S-7742, MIL-S-1222 and virtually all thread acceptance documents generated by major automotive and aerospace corporations, the Federal Government and the Military. In addition, all Johnson Gage Inspection Systems are fully traceable to the National Institute of Standards and Technology. Since many thread inspection applications are different, all Johnson Gage Thread Inspection Systems are designed with versatility in mind. From fixed-size systems for high volume inspection to range adjustable systems for maximum versatility, standard Johnson Gage Inspection Systems are ideally suited to your application, UN, UNJ, Metric, NPT, Acme, Buttress as well as other thread profiles are easily incorporated into the basic design. Easy solutions to unique requirements regardless of feature and size runout and concentricity inspection relative to the thread are simple extensions to the basic external and internal inspection systems. Both analog dial & digital and inch & metric indicators are available. From fasteners to fittings, data-driven Variables Thread Inspection from Johnson Gage simplifies the manufacture of any threaded product. Optimal initial set-up is verified, machine and tooling capability studies become a realistic exercise, and dimensional control of the threading process maximizes both machine and operator efficiency on a real-time basis. Statistical Process Control is a reality, and often a contractual requirement. And no wonder. SPC eliminates all of the costs related to sort, scrap, rework, selective assembly, and outright rejections of threaded product. More than just a thread gage, Johnson External and Internal Inspection Systems simplify the integration of this cost-saving strategy. Comparable with any SPC/SQA data collection system, Johnson Thread Inspection Systems can monitor vendor performance, develop statistical profiles and reduce variability of threaded product. Relationships between dimensional characteristics and process stability are easily documented. Antiquated thread inspection can be expensive. Traditional GO/NOT GO thread gaging techniques are time consuming, produce excessive gage wear, and require constant maintenance and calibration. All too often, inspection reliability is compromised by fatigue and the uncertainties of acceptance by “operator feel”. The direct-reading design of Johnson Thread Inspection Systems eliminate virtually all random variations in the verification process. Both gage wear and inspection time are a fraction of GO/NO GO inspection. Constant gaging pressure assures uniformity of results and extends gage calibration cycles. Direct presentation of the part to the gage may even reduce liability exposure to carpal tunnel syndrome. Johnson Gage is dedicated to providing the most comprehensive technical support in the industry. From initial evaluation of your standard and special requirements to complete on-site system installation, direct Johnson Gage personnel are dedicated to your satisfaction. Comprehensive training programs and complimentary Screw Thread Technology Seminars are conducted on an on-going basis to assure maximum utilization benefits and customer satisfaction. Complete in-house calibration capability guarantees continuous confidence and assurance in you investment. 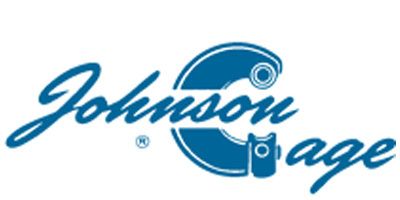 Whether it’s assistance with a complex engineering problem or something as simple as expediting a critical shipment or designing a calibration program, you can rely on Johnson Gage. For more than 50 years, Johnson Gage has delivered quality and reliability in the world of Thread Inspection with innovative solutions to thread inspection problems. As the only manufacturer of Variable Thread Inspection Systems whose only product is Variables Thread Inspection Systems, you have our complete attention. From Unified to Metric to NPT, we understand your requirements and can anticipate your needs. Since 1925, we’ve taken our responsibility seriously. And so can you. If looking for correct thread inspection and total system support, you can count on Johnson Gage.